Since his discovery, Greenberg delved into the life and work of Dr. Israel Jacob Kligler. 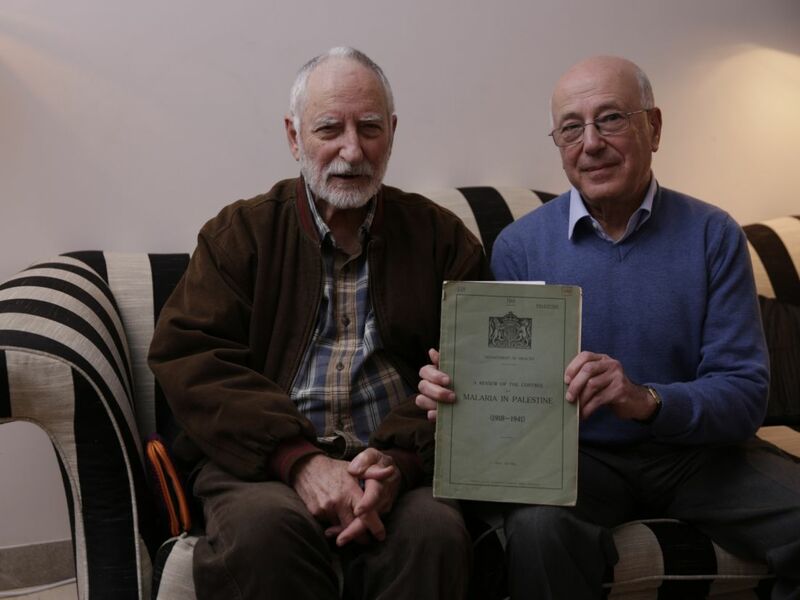 Seven years ago he was joined by Anton Alexander, a retired Jewish lawyer and history buff living in London. 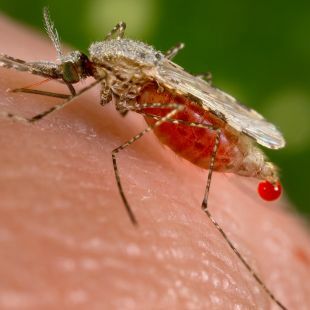 Through a number of studies and articles they cracked the character of a man who they claim is the founder of microbiology and public health in Israel – and most importantly, the greatest foe of malaria. He single-handedly defeated the disease not through medicine but through education and persistence. During their research, Kligler and Alexander drew the map of malaria distribution 100 years ago. They showed that the eucalyptus trees brought here did not contribute much to warding off the disease and demonstrated the impact malaria had on shaping the borders of Israel. “A hundred years ago, Palestine was a place that was impossible to live in,” says Alexander. Malaria killed thousands of people each year and 20 percent of the population suffered from the disease. Entire regions were abandoned due to malaria. Some people in the Zionist movement believed the disease would wipe out the Jewish community in Palestine. During World War I malaria was a bitter enemy of General Allenby’s Egyptian Expeditionary Force in Palestine. “This is one the most malaria-afflicted countries in the world,” wrote Allenby’s chief medical officer. In 1918 alone, more than 28,000 cases of malaria were reported among British soldiers in the Expeditionary Force. Kligler, a groundbreaking microbiologist, was the first person to devise a systematic plan to eradicate malaria in Palestine. He led this struggle for decades, but according to Greenberg and Alexander, never received the recognition he deserved. Kligler was born in Galicia in Eastern Europe in 1888 and moved to the United States when he was 13. He excelled as a student and obtained a Ph.D. in microbiology from Columbia University. He later worked at the Rockefeller Institute for Medical Research, where he developed the Kligler culture medium, which is used to this day to identify the presence of gut bacteria. “He had an international reputation, and if he’d stayed there he would have received a Nobel Prize, but he got the Zionist bug, becoming an admirer of Louis Brandeis,” says Greenberg. U.S. Supreme Court Justice Brandeis was himself infected with malaria prior to visiting Palestine, and warned that Zionism would fail in settling the area if the disease wasn’t wiped out. Chaim Weizmann, president of the World Zionist Organization, “was mad at Brandeis, but [the latter] was right,” says Alexander. Brandeis asked Kligler to write a report on malaria in Palestine. In 1920 Kligler moved there, and Brandeis gave him a huge amount from his own pocket – $20,000 – so that Kligler could begin the campaign to eradicate the disease. “Even before arriving Kligler knew more about malaria in Palestine than anyone else,” says Greenberg. 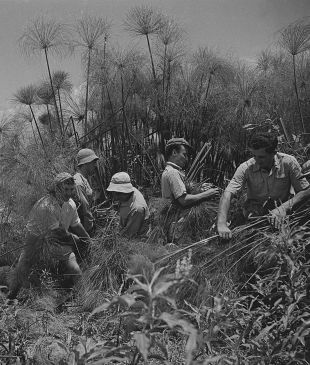 Shortly after arriving, Kligler established the first malaria research station in Haifa and immediately began to carry out a well-planned campaign to fight the disease. In an article published a month and a half ago in the journal American Entomologist, Alexander summarized the main points of Kligler’s method. “The most important thing was to overcome fatalism, the belief of the local population that malaria was part of life. The first thing needed was to tell the local population that malaria can be defeated,” says Alexander. The second stage involved mobilizing the locals for a systematic and prolonged fight against the Anopheles mosquito by locating, draining and treating any water reservoir that could serve as a breeding ground for the insect. Education was the main tool in this fight. “He understood that the population needed to be educated and that these water sources needed to be dried. You needed to let the water flow so that mosquitos couldn’t breed and that if this was not possible, that one should spread a layer of oil over the water so the mosquitos wouldn’t be able to breathe,” explains Alexander. Kligler believed that it was not the doctor but the entomologist who was most crucial in the campaign against malaria. Another one of his principles asserted that the fight against mosquitos must relentless and needs to be spread over years. Alexander wrote the article for American Entomologist together with Dr. Florence Dunkel of the University of Montana. A team from there has been employing similar methods in 11 villages in Mali. Alexander notes that the method works, and that malaria there is in retreat. Kligler developed his method during the 1920s and ’30s, working with the British Mandatory government. He established a network of inspectors and other employees; at its peak, there were hundreds of people taking part in the campaign against malaria. Most of the budget came from the coffers of the Zionist movement, but Palestinian villages were also recruited for the campaign. Alexander says that the anti-malaria network was one of the few services that continued to operate even during periods of violence between local communities. When Mufti Amin al-Husseini tried to prevent anti-malaria workers from entering Arab villages, they were accompanied by British soldiers. The eucalyptus trees that were thought to assist in warding off the disease by drying swamps did not impress Kligler. “He realized the eucalyptuses weren’t working,” says Alexander, adding that the trees could actually cause damage since their roots sometimes blocked drainage channels. Greenberg says that Kligler preferred using Gambusia fish (also known as mosquito fish), which eat mosquito larvae. Kligler imported these fish, which are still used for the same purpose in water reservoirs across the country. This was the first time anyone in the world had tried to fight malaria on a national scale. Success came quickly: Within two years, the areas that were treated registered a drop in the number of malaria patients. This decline continued into the ’30s and ’40s and in 1968 Israel was declared to be malaria-free. It was the first country in Asia to be rid of the disease. In 1925, only four years after the program was launched, a League of Nations delegation arrived in Palestine to study Kligler’s methods. 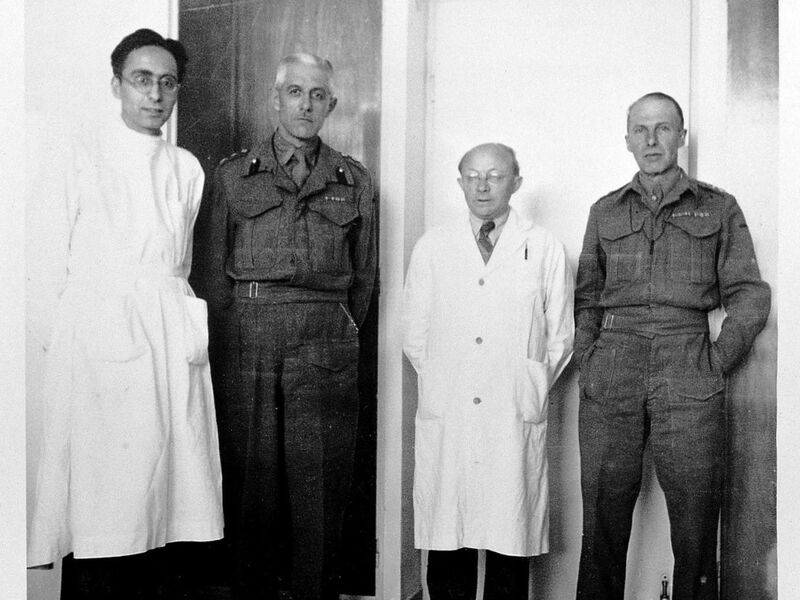 After their visit they wrote that what they saw in Palestine could “overcome pessimism and raise hopes.” During World War II Kligler taught British medical officers how to avoid malaria. He also received a medal from Poland’s government in exile after trying a vaccine he had developed for Polish exiles on himself. Kligler also traveled to the Dominican Republic and later to Yemen on behalf of the American Jewish Joint Distribution Committee to help Jewish refugees establish a medical system. Kligler was also an important and exceptionally prolific researcher. In 1926 he became one of the first four professors at the newly established Hebrew University, subsequently raising a generation of pupils. Over his years in Israel he published over 200 articles covering many areas of microbiology, at the rate of one per month. However, he did make some enemies among the old guard of physicians, who doubted his methods and mocked him since he was not one of them. He earned a reputation for being a meticulous and tough manager who was not particularly liked by his employees. 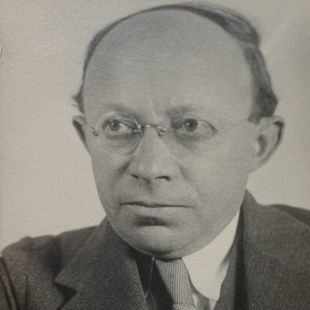 In 1933 Kligler suffered a blow following a sharply worded report by a commission of inquiry set up by Albert Einstein to investigate the financial and academic conduct of different departments at the Hebrew University. Greenberg says that it’s clear from the report that Kligler unwittingly got himself involved in a battle between university founder Yehuda Leib Magnes and his rivals. Kligler, who was close to Magnes, was a target of scathing criticism. In the report, Greenberg found proof that the commission was out to get Kligler. He notes one incident discussed in the report, which occurred seven years before it was written: financing the purchase of a donkey for a doctor working at the malaria station in Rosh Pina. “Kligler stars in the report as if he was the arch-devil. I looked into it and I believe he didn’t know what it was all about,” says Greenberg. “The report suggested removing him from office, but that didn’t happen. But a pistol you see in the first act fires in the third. The report really hurt him and one sees in his letters that he became quite despaired.” Greenberg believes that the report contributed to Kligler’s death from a heart attack ten years later. Greenberg’s house in Jerusalem has an entire bookshelf devoted to Kligler’s work. Among other things, he donated 50 kilograms of original documents he received from Kligler’s daughter-in-law, who lives in the U.S., to the Zionist Archives. Among these documents he found a 1941 British government report with a map from 1920 showing the distribution of malaria in Palestine. More than anything else, it shows the power this disease had in shaping Israel. 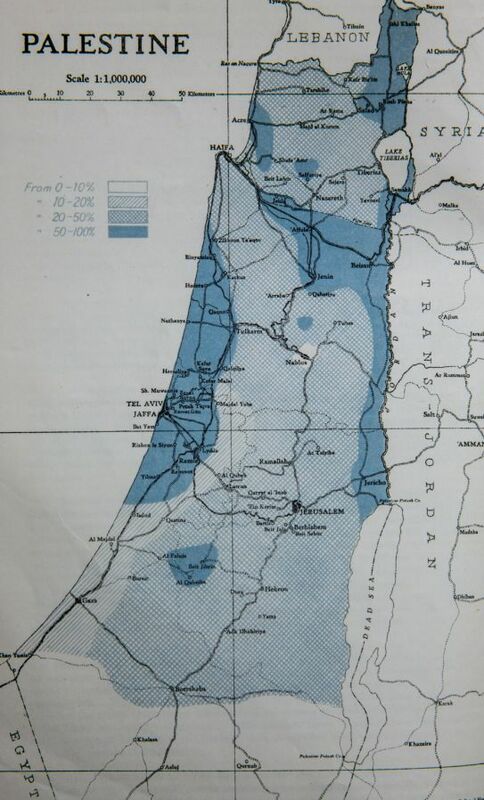 The map has a remarkable similarity to the Partition Plan that was prepared 19 years later. The explanation for this is simple: Lands where malaria reigned, such as the valleys and coastal plains, were unusable. These were the lands sold to Jews and on which Jewish settlements were built. Malaria effectively drew the outlines of Jewish settlement in Palestine, which later became the boundaries of the Partition Plan. Kligler was also fated to be unlucky in death. Kibbutz Amir in the Galilee initially named its clinic after him, but after a few years Kligler’s name was replaced with that of another important malaria researcher, Gideon Mer, who for decades headed the Rosh Pina malaria research station located not far from the kibbutz. The Jewish National Fund planted 10,000 trees in Kligler’s honor, but no one knows where.